Russell G. Tisman specializes in complex corporate, commercial, defense, employment, labor, personal injury, and Surrogate’s Court litigation. He has tried cases and argued appeals in federal and state courts and administrative agencies throughout the United States, and in arbitration and other alternate dispute resolution fora. Mr. Tisman also actively counsels management and human resource professionals on employment and labor matters. He represents public companies, privately held businesses, insurers, financial institutions, and individuals in all types of business-related disputes, in addition to representing individuals, insurance carriers, and businesses in personal injury litigation. 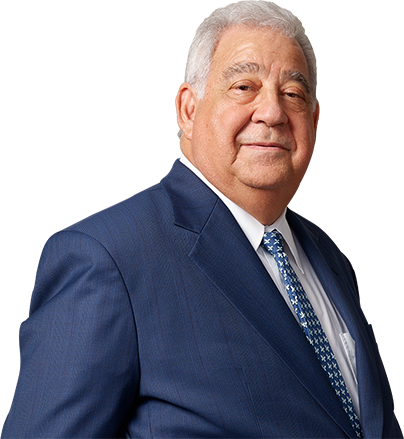 Mr. Tisman commenced practice in 1977 with a multinational, Wall Street law firm. From 1980 to 1987, he was Senior Litigation Counsel of ITT Corporation, where he was responsible for employment litigation system-wide and commercial, antitrust, and product liability defense litigation. In 1985, ITT awarded him an outstanding professional achievement award. Mr. Tisman was a founding member and head of the litigation and employment and labor practices of Groman, Ross & Tisman, P.C., which joined the Firm in 2006. He has published articles in various journals including the Journal of the American Corporate Counsel Association, and the National Law Journal, the Suffolk Lawyer, and treatise sections on litigation and employment topics, including chapter updates for BNA’s Employment Discrimination Law treatise. He has lectured on employment and litigation law and alternative dispute resolution before both local and national audiences. Mr. Tisman actively serves as an arbitrator and mediator in commercial and employment disputes. He has been a court-appointed arbitrator and an arbitrator for the American Arbitration Association and NAM. Mr. Tisman has been recognized for his volunteer efforts on behalf of Live On New York, formerly the New York Organ Donor Network. He has been AV-Rated by Martindale Hubbell for more than 25 years. Mr. Tisman was honored by the Nassau County Bar Association for distinguished career, professional achievement, expertise, and leadership in the field of Labor and Employment. He repeatedly has been named a New York SuperLawyers commercial litigator, and has been selected by Long Island Business News as one of Long Island’s leading employment and labor lawyers in its “Who’s Who in Law” edition, and as a Legal Eagle by Long Island Pulse Magazine, among other honors.